Exercises to help learn the names of rooms in the house. great picture from redcamarocruiser of eslp. The present downloadable printable was created for high school students at Elementary (A1), Pre-intermediate (A2) and Intermediate (B1) level. It can be used for strengthening your pupils' Spelling, Reading and Writing skills. 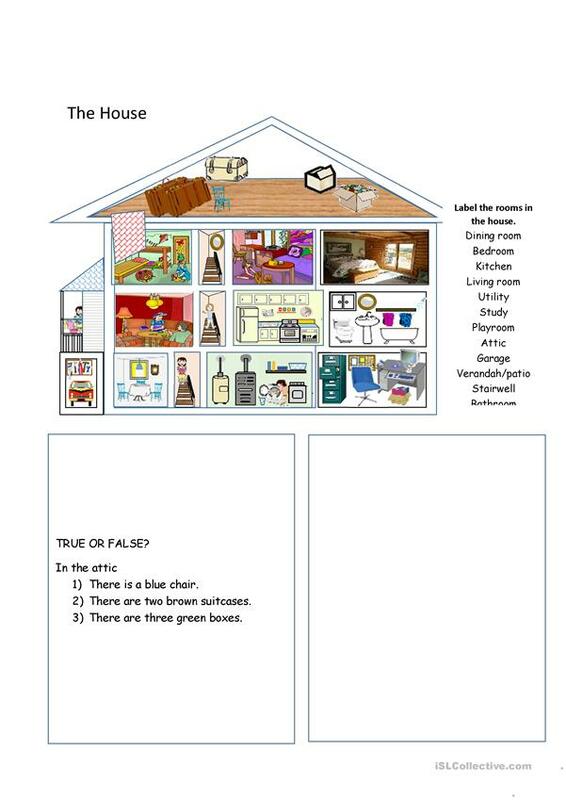 It focuses on the vocabulary topic of Rooms in the house.